Alina, an English and Italian speaking economist, rents two large and clean rooms in her breezy neo-colonial casa particular in Cienfuego. 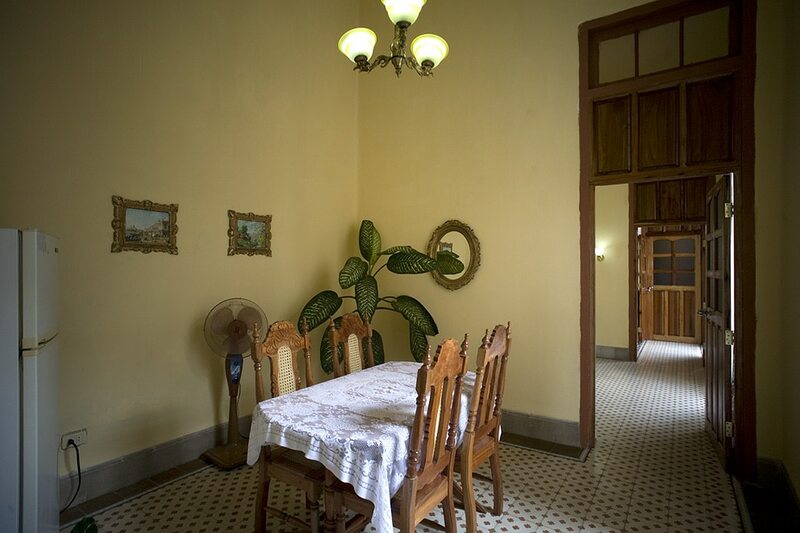 The casa dates from 1939 and is tastefully decorated and freshly painted. It overlooks the Prado and is a few blocks from the Parque Martí. 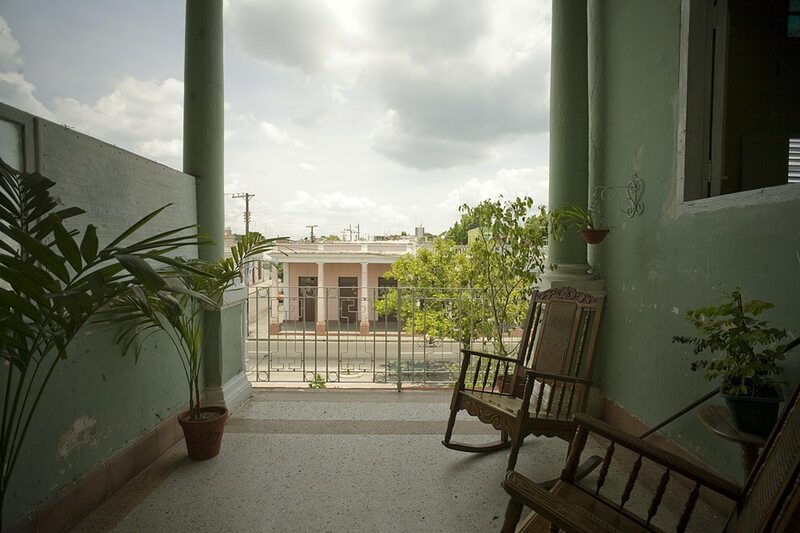 After wandering the beautiful streets of neo-classical Cienfuegos, the large balconies are a great way to relax, people watching with a fresh drink in hand. We only stayed here for one night, and left early the next morning, so we didn't have a chance to try the breakfast. However, the hosts were very friendly and helpful in booking a taxi for us for the next morning. The casa is a beautiful colonial building with spacious rooms and modern bathrooms. 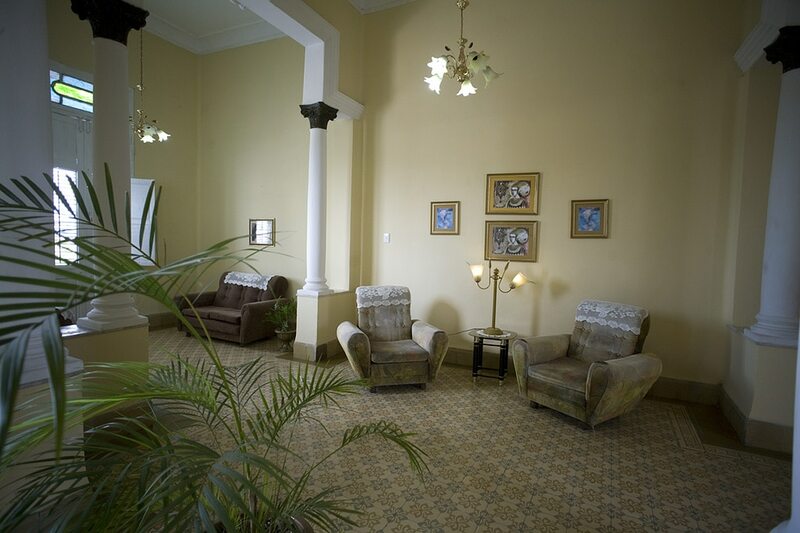 The location is also very good, right on the grandiose Prado Boulevard of Cienfuegos. 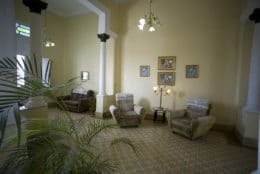 It was a very relaxing and enjoyable stay, and I would recommend it to others looking for a casa particular in Cienfuegos. 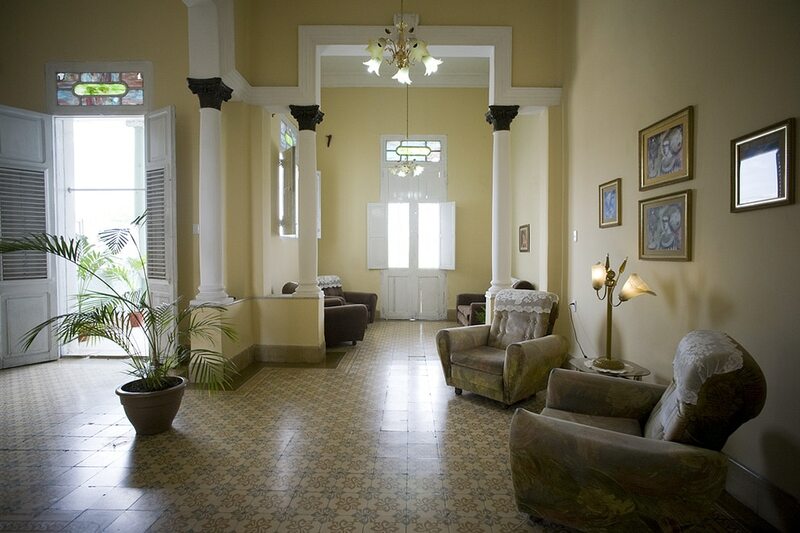 We have stayed here 3 nights with our baby and really enjoyed our stay in this casa particular in Cienfuegos. It is only a few minutes walk to the main Plaza Jose Marti too. The room is spacious and the bathroom is gigantic! We stayed in Alina's casa particular in Cienfuegos for 5 days and we were treated royally. Our breakfast every morning was fresh, varied and appetising. 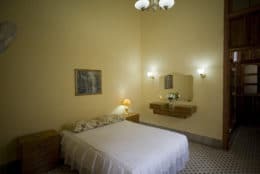 The bedroom was basic but comfortable and air-conditioned with a fine bathroom. We were allowed access to the large lounge and balconies, which were comfortable and interesting with the view of the Prado below. Our hosts were quiet, polite and assisted us with obtaining a taxi driver and instructions to the best beach and restaurants nearby. The restaurants they recommended were close and very hospitable, with excellent food.The hosts were non obtrusive and ensured our stay was enjoyable. We would definitely book this casa when we return to Cuba. Lovely casa, great location and most hospitable peopleThe casa particular in Cienfuegos is in a brilliant location. My famly booked two nights. The room is very clean and comortable. Breakfast was served in the airy living room, next to balcony. Delicious omelettes, fresh fruit, juice, coffee and bread.I would highly recommend Alina's casa particular to anyone staying in Cienfuegos.Thank you very much Alina and Leonardo for your hospitablity. Pasamos 2 dias en Cienfuegos en la casa particular de Alina antes que el huracán Irma forzará nuestra estancia a 2 días de mas. Alina y Leonardo siempre nos dieron la mano y nos trataron como familia. A pesar de la dificultad, comercio cerrado por el huracán, nos dieron posada, calidez y alimentos. Los días previos y los posteriores al huracán la atención, ayuda, cordialidad, calor humano fue de las mejores recibidas en Cuba. El cuarto es amplio, cómodo, confortable al igual que el baño. La ubicación es perfecta entre el malecón y la plaza central. Personas y lugar totalmente recomendables. Muchas gracias Alina y Leonardo. La mejor de las suertes. Would definitely recommend this casa particular in Cienfuegos. It's in a perfect location and the hosts were super friendly and hospitable. 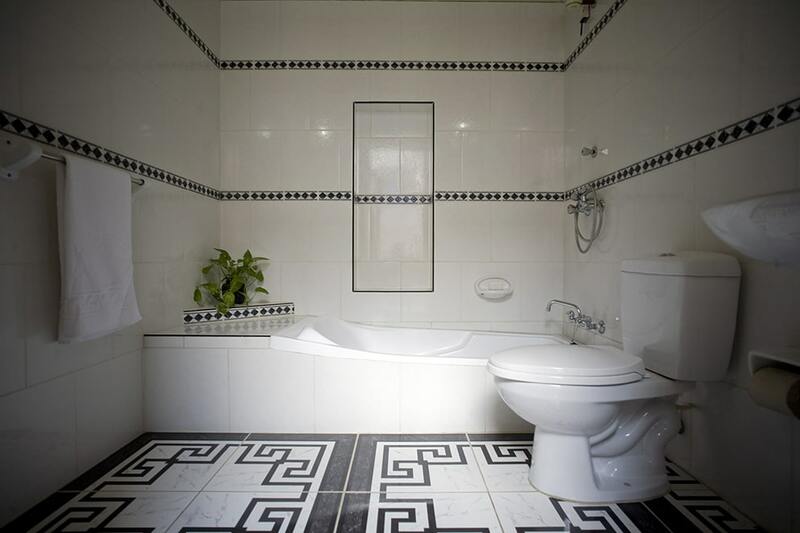 Very good-sized bedroom and en-suite bathroom, with high ceilings. Breakfast was served in the airy living room, next to balcony. Delicious omelettes, fresh fruit, juice and bread. It really feels like a family home, with family photos everywhere and a really cosy atmosphere. Great casa particular!Lovely old house in a very central location.Alina was away when we stayed there but her parents were incredible hosts and took great care of us. Clara made us feel at home and was a lovely, kind presence to have around.The breakfasts were very tasty and filling.Room had good air-con system and nice big bathroom.Would highly recommend this casa particular in Cienfuegos!